Today’s trend: Oversize Bows. 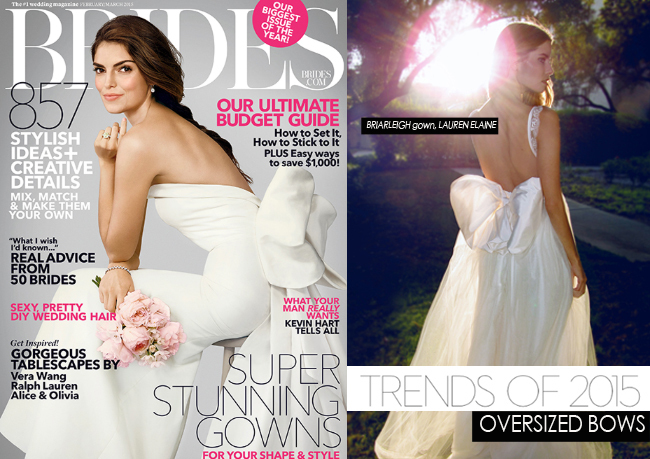 As seen on the cover and inside the current issue of Brides Magazine, oversized bows are having a moment. Not only do they add a punch of unexpected drama with the right placement, but if you select a gown featuring a self-tying bow, like the Lauren Elaine Briarleigh, you can create the shape and look you prefer –from big and voluminous to loose and draped. Next postFrocking out the New Year with the Reception Collection!